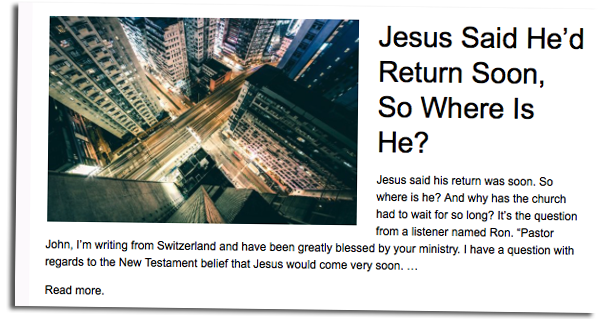 Recently, one of the world’s most listened to Bible teachers received a question from a listener about Christ’s failure to return “soon”. It’s actually a great question and is frequently responded to with answers from most popular Bible teachers that actually portrays the Bible as nonsensical! 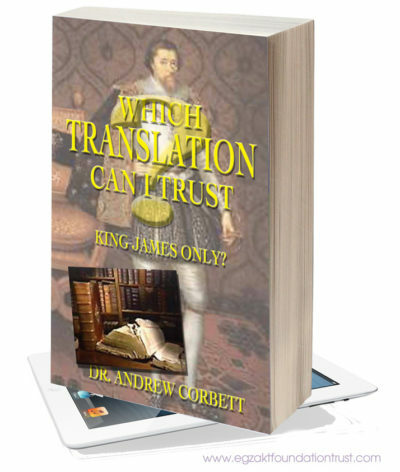 How this question is answered depends on the method we use to interpret any Scripture passage. Yet, using the principles of sound Bible interpretation is the very reason why such Bible prophecies about Christ’s “soon” return are a problem for the thoughtful Bible reader. 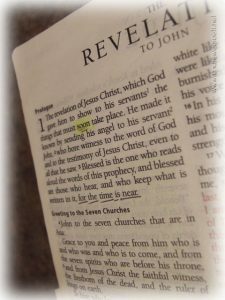 The opening chapters of the Book of Revelation describe the coming of Christ as “at hand”, “soon”, “this hour”. 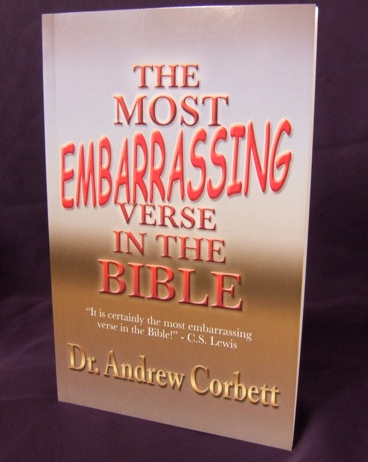 Since Christ has not returned soon, many commentators have assumed illogical and unbiblical notions of such terms meaning the very opposite of what they mean in ordinary usage. 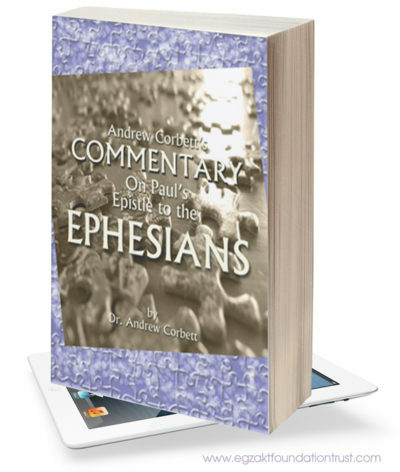 Sound hermeneutics demands that we begin by exegeting a text rather than eisegeting a text. That is, the first step to proper Bible interpretation is that we determine what the Scripture says (exegesis) rather than what we think it says or what we believe it says (eisegesis). Thus, the first thing to notice about each of these time-frame prophecies about the return of Christ is that none of them contain the word: return! In fact, while it might seem like a small point of distinction, the word most commonly used with these time-frame references is: coming. In English, this word has been eisegetically made to mean: return. But it doesn’t! It means coming – and it is most commonly used of God coming in judgment. ¶ An oracle concerning Egypt. Behold, the LORD is riding on a swift cloud and comes to Egypt; and the idols of Egypt will tremble at his presence, and the heart of the Egyptians will melt within them. By exegeting those passages describing the soon ‘coming’ of Christ we can see that they generally refer not to His return, but to His coming in judgment to bring the Old Covenant to an end and to hold Jerusalem to account in judgment. 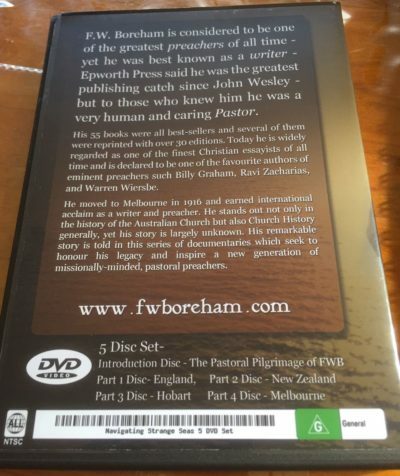 In another talk-back Christian radio program/podcast a confused listener rang in asking how many resurrections there would be since he heard this particularly Bible teacher describe the resurrection of the righteous at the beginning of the one thousand year reign of Christ from Jerusalem, and then another resurrection of the wicked at the end of this thousand years. The listener was reasonably confused about those who would be born and die during this one thousand year period. How do they get resurrected bodies if there are no more resurrections to come? The talk-show show, despite being a seasoned Christian apologist, admitted that eschatology was not his strong point and that these details were also confusing for him. But these things needn’t be confusing. 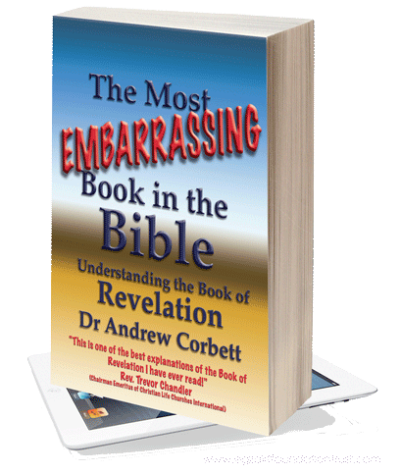 I once had someone tell me that no-one could ever truly understand the Book of Revelation because it was a mystery. But, as I tell people whenever I teach on the Book of Revelation, if Revelation is not meant to be understood, then in what way is it a revelation? This and other commonly misunderstood facts about Bible prophecy can be seen in my eBook on the Book of Revelation available from Amazon or here.